Since 2014, Bianchini & Lusiardi associati is publishing Inexhibit.com, a bilingual website covering museums and exhibition worldwide. 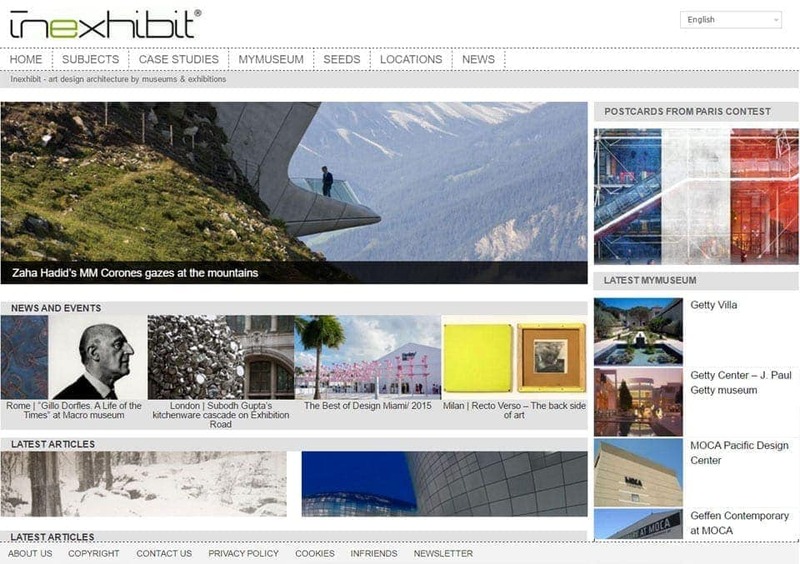 With over a million unique visitors in the last year, Inexhibit is today among the most influential web magazines in the exhibition and museum design field, featuring about 3.000 articles, reviews, and case studies, as well as several thousands photographs, graphic images, and drawings, related to exhibition design, cultural site promotion, and museum architecture. Inexhibit currently collaborates with some of the most important international institutions and museums in Europe and the United States.